While all of these are all a part of the right way to do UI5, the business case and subsequent pain points are some of the most important. 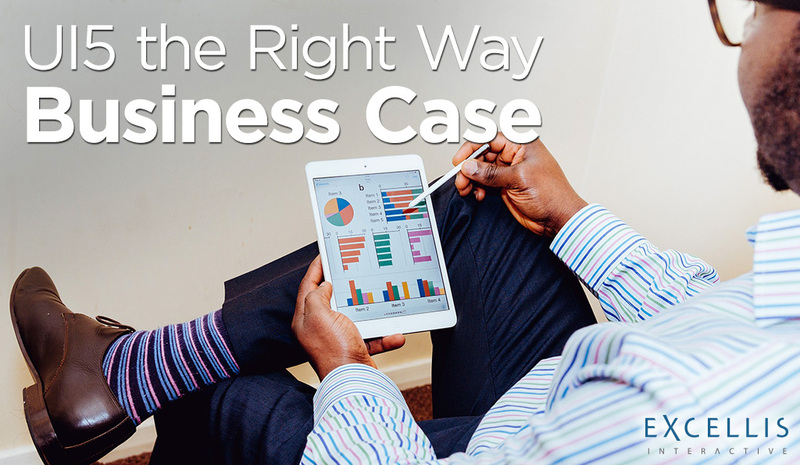 We’re not just talking about any old business case here. Formerly, an SAP project could only connect to an SAP back-end system. With an SAP front-end, there was no business case for doing a project with an SAP UI technology (like WebDynpro or BSPs). But the new Open UI5 is a solution for any business case regardless of whether the company has an investment in SAP. Now that SAP has aligned to open standards with UI5 and not proprietary footprints like WebDynpro, we see companies with little to no investment in SAP using Open UI5 as their front end solutions. We recently did a project for a client (we’ll call them Company X) with a huge investment in JD Edwards as their ERP system. They wanted a responsive mobile app that their service technicians could utilize to make plant visits, create and execute service tickets, and perform and record maintenance activities. They needed the ability to take pictures along the way and upload them to specific tasks. Once done, the information needed to sync to JD Edwards to be available for the next technician to pick up from their work list, from their own app, on their own device. UI5 at its core is responsive, just like jQuery. Using it to resolve the business case allowed us to create a responsive solution for both field and home office personnel, completely connected to non-SAP systems. This introduced SAP’s footprint into this company with little cost. Like I said before, we wouldn’t be talking about this with WebDynpro or BSP. Why? Those solutions are proprietary. Because Open UI5 is based on open standards, it was easy for Company X to get on board. Like jQuery, Open UI5 does not work offline without some massaging. But anyone who has ever converted a hybrid or responsive web app to mobile knows this can be achieved. We worked in some offline capabilities using caching mechanisms but were able to utilize robust offline features by giving them two wrapping options – Kapsel or Appcelerator. More on that in upcoming vlog episodes! Unlike WebDynpros, UI5 is customizable. We can use our own JS libraries (like knockout.js) and modify the look and feel with ease. We have complete line level access to real code written by real live people (not using screen scrapers). Although it wasn’t a business requirement for Company X, UI5 apps can run in the cloud. Not only that, as we know from using SAP WEB IDE, we can also develop them in the cloud. We’ve worked with other clients where we’ve utilized SAP Hana Cloud Mobile Services to run and deploy, and connect to back end systems. Therefore, Open UI5, as a UI technology, is more than capable to work in the cloud model. These are some compelling business case components, and open UI5 was up to the task. Could it be the next jQuery? Only time will tell. See more from me in the video below. Do you have business case or pain points that could be solved utilizing UI5? Let us know in the comment section or contact me directly at plagana@excelliscorp.com. If not, please join me for the next episode of TechTalk where we will cover the next necessity in doing UI5 the right way – user experience.